SHOPPING IN SINGAPORE — Friend In Fashion | By Jasmin Howell | Fashion. Travel. Lifestyle. Recently I had the pleasure of heading to Singapore with Emirates for a whirlwind 48 hour shopping trip. If you've not been to Singapore before, I must let you know that it is a shopping paradise. Mall after mall, all within walking distance of each other - all of the best luxury brands you could dream of. 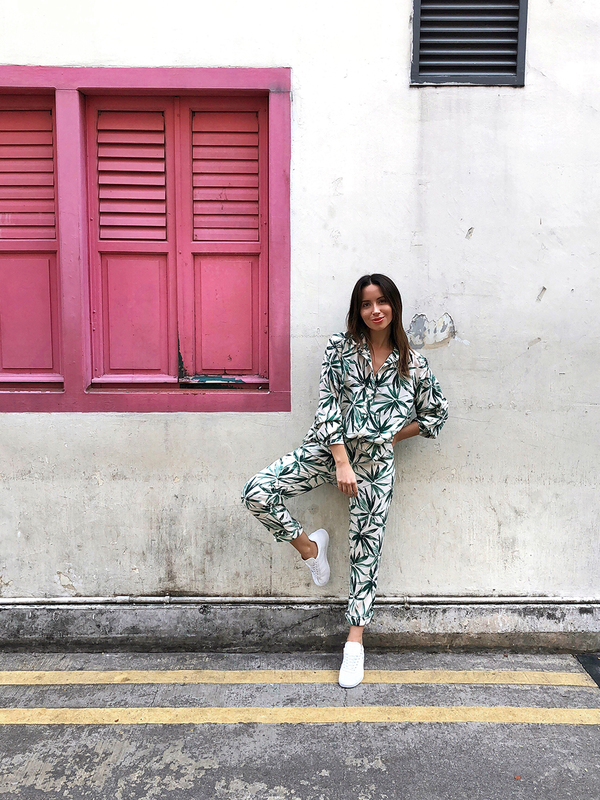 Here are my Singapore shopping favourites. All of my luxury favourites in a beautiful, modern mall overlooking Marina Bay. From Chanel to a very special Louis Vuitton ‘Island’ and everything in between. Great food options as well as the most spectacular views from the rooftop bar & Dining room. The Shoppes is alway my first stop. The perfect mix of high street & high end. Also home to the Sephora flagship in Singapore. Also on Orchard Road, Paragon is one of my favourite malls, as it is a bit smaller and more low-key, but still has all of my favourites. great mix of designer labels and mid-range brands. Head here for a great mix of designer labels & mid-range brands including Balenciaga, Burberry, Gucci & Calvin Klein to name a few. If you’re looking for a contrasting shopping experience to Singapore’s glitzy mega-malls, then a visit to Haji Lane is a must. A great spot for independent boutiques, vintage stores & photo-opportunities galore.